Today after many months of work, countless volunteers, supporters and businesses, amazing donations and support the GSPCA officially opened the new Chapel of Rest and revamped Memorial Garden. During a beautiful Spring type day in the Guernsey sun, with blooming daffodils and other early flowers visitors, supporters and local media attended this momentous occasion. Every year the GSPCA helps over 1000 pet owners through the loss and death of their beloved pets and thanks to so many there is now a lovely area to help pet owners through this difficult time at the GSPCA. This Friday after many months of work, countless volunteers, supporters and businesses, amazing donations and support the GSPCA will officially open the new Chapel of Rest and revamped Memorial Garden. Northern Trust help with our Chapel of Rest & Memorial Garden – could you support this project? On Tuesday 12th June Northern Trust staff came for their second volunteer day of 2018. Over the previous four years 120 volunteers from Northern Trust have helped out at the GSPCA, with 38 staff helping in 2014 and a further 26 helping in 2015, 34 in 2016 and 16 in 2017, 6 earlier this year and additional 5 this week taking the total to 125. 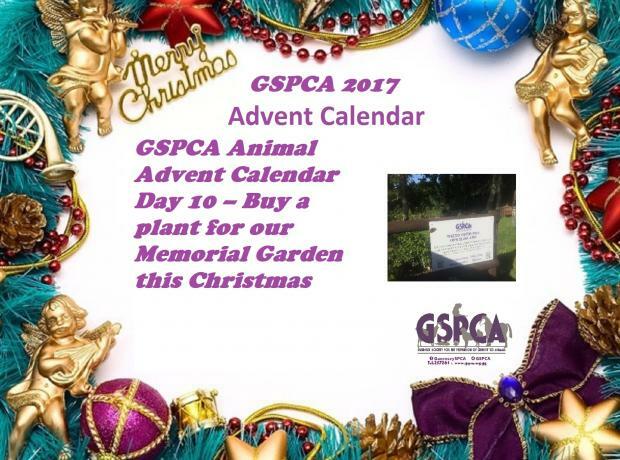 This December the Work to Benefit team and St Andrews Floral Group are helping the GSPCA improve the Memorial Garden on site. For nearly 145 years the GSPCA has helped and continues to help thousands of islanders each year with the death of their pet. On site at the GSPCA we have a Memorial Garden area which we have been working to improve thanks to many kind donations and support. We are at a stage where we are looking to purchase plants and shrubs to help landscape the area and make it a pleasant and comfortable place to sit and reflect past pets and loved ones. This month the team at the staff and volunteers at the GSPCA have been taking part in training in Pet Bereavement thanks to the Guernsey Bereavement Service. Sadly every day of the year staff and volunteers at the GSPCA help owners of pets that have died, whether recently or in the past and it is always hard to know if you are saying the right thing.